PWCRU-PCV-00C - Password JDM Zoomer/Ruckus Carbon Fiber PCV Solenoid Bracket - Pann Auto Performance - San Diego largest aftermarket automotive performance parts - What do you drive? 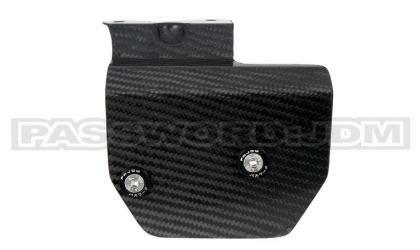 Password:JDM dry carbon fiber ruckus PCV solenoid bracket. Includes all mounting hardware. From your original PCV bracket that weighs close to a pound and our dry carbon PCV bracket that weighs an ounce, this is a must have piece!